If you’ve been waiting impatiently for an update to Angry Birds after the holiday edition, then smile because your wait may almost be over. A Valentine’s Edition looks to be in the works according to a puff piece done by Deutsche Welle on the new addiction that is mobile gaming. 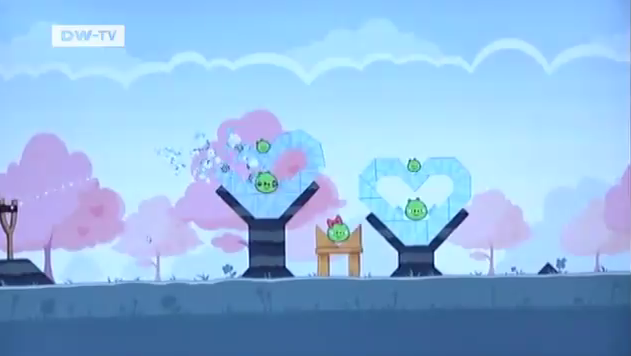 If you zoom ahead to the 4:22 mark in the video below, you’ll see a couple of quick shots of the new pink levels that are of course, filled with heart objects. Cute. Oh, there is no mention of it actually coming to Android, we’re just assuming. Honeycomb is a Tablet OS "Right Now."